Hidden Cupcakes...: "when in doubt draw Flower's!" "when in doubt draw Flower's!" 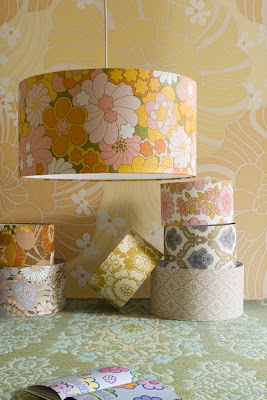 Was browsing Etsy (yes, again...) and stumbled across these lampshades by, draw Flower's. Aren't they perfect? What better way to dress up a room? Stop by their shop. They have tons of adorable projects...vintage wallpaper used everywhere!